Remember HF's very first "game" which no one remembers?...the villain creator? You could actually make pretty cool stuff with it, despite it not being relevant to Lego whatsoever. I played around with it a few times. Twas alright. 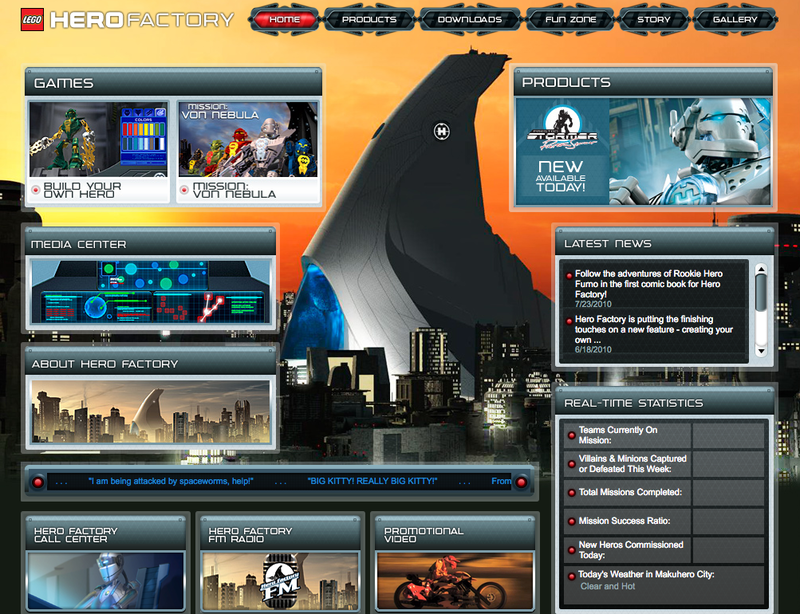 If there wasn't Hero Factory, I wasn't a Bionicle fan. 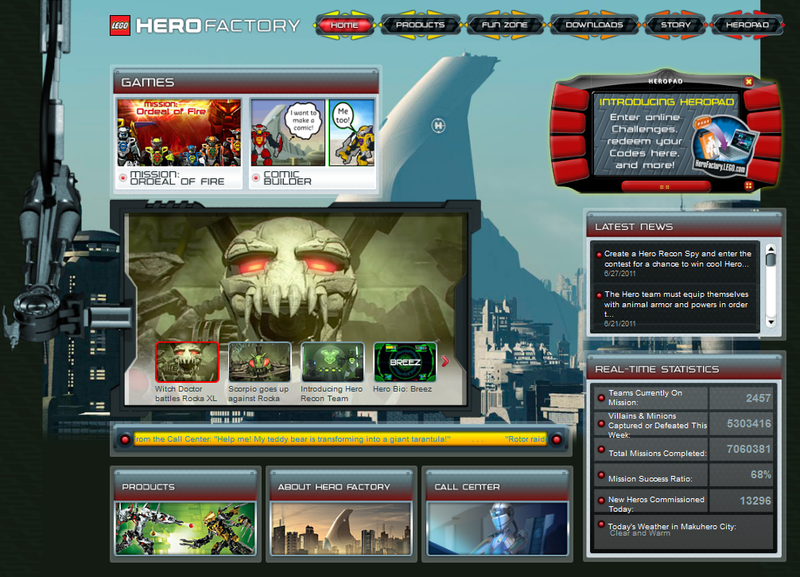 I avoided HF at first because I was still salty over G1's cancellation, but my friends were into it, so I started browsing the site and playing the games (I spent way too long in "Build Your Own Hero", let me tell you), but it wasn't until Ordeal of Fire that I got "into" the line. I remember seeing the 2.0 heroes on the site for the first time and deciding "I'm over BIONICLE, I need these." Surge 2.0 was my first set, and I ended up collecting all six heroes from that wave (I distinctly remember not wanting Furno 2.0 because he looked dumb and I hated most "Hotshot Rookie Red Fire Guy" characters, but I bought him just to finish the collection). I picked up the original Stringer at one point, and then got Bulk when he was on clearance, but I never bought any villains for whatever reason. Do you guys remember "Creep Crushers"? You entered the code from the inside of your canister and they gave you the hero you bought in a flash game. I doubt it was any good, but I have fond memories of it. By the time Savage Planet rolled around, I was starting to lose interest. I bought Stringer, because I guess I was partial to him, and then I more or less stopped following the theme. I checked the website occasionally, but I wasn't following the story or sets. I thought Invasion From Below looked kinda cool, not gonna lie, but then the bonkle rumors happened, and here I am. I freaking loved Creep Crushers. It will forever go down as my favorite LEGO game(s) of all time. From whence do these images hail? Creep Crushers is the best Lego game of all time. I still play it all the time on Biomedia. Go to Hero Factory, the choose Creep Crushers. Almost all the other games from other themes are here too. Remember that time they gave Nex 4.0 a black hand even though they could've given him an orange one? I didn't found the game.